If you’ve always rented a place to live, buying a home can seem like a monumental undertaking. This report breaks down this process into clear steps. Begin your search by considering the kind of home you need and want. Write down your specific requirements like number of bedrooms, size of yard, floor plan, location, schools, etc. Consider your budget and financial obligations. Decide what monthly house payment you can really afford. Most mortgage consultants advise limiting your payment to no more than one-third of your net monthly income. When you know in advance the amount of loan you can obtain, you can focus on searching for houses in the targeted price range. This can save you time when you find that perfect home, because sellers favor buyers who are pre-approved. Experienced mortgage consultants can let you know what specific loan programs are best for you. By taking a look at your financial situation and credit history, a mortgage consultant will tell you if you can qualify for the home you want, and will find a loan that best suits your needs. For the approval process, you and your mortgage consultant will complete the required documentation and submit it to an underwriter. A pre-approval is an actual loan commitment from a mortgage consultant or lending institution. This means that you definitely qualify for a loan. Talk to your mortgage consultant about the costs and time involved to secure pre-approval. You can learn a lot about consultants by talking to them about their experience. In a short time, you’ll be able to determine if they’re the right person to meet your needs. 2. My objective is to buy a house by ___________. How will you help me achieve this goal? 3. How often will you update me with new property listings? 1. Keep an organized record of your research. Write down comments about the homes you see. Keep track of your likes and dislikes and offer feedback to your real estate consultant. Some buyers are reluctant to tell an agent what they really think of a house; they think the agent might take it personally. Remember, the homes don’t belong to the agent! 2. Make sure your agent is aware of your time schedule and expectations. Do you like to look at one or two homes per session? Four? Eight? Discuss this with your agent. 3. Tell your agent about any homes you see that interest you and that you’d like to know more about. This includes homes you’ve “discovered” as you explore the area and those advertised in the newspaper. 4. If you like to spend time driving around by yourself looking at houses, ask your agent for a list of drive-bys — homes to consider first from the outside. Your agent can make appointments to show you the interior of the properties that appeal to you. 5. It’s important to know beforehand whom your agent represents. Some agents work only for the seller. Work with your real estate consultant to determine the most appropriate purchase offer. Your consultant will present the offer on your behalf. There are only two major investments to consider when buying a home. These are the initial investment, which includes down payment and closing costs, and the monthly payment, which includes principal, interest, taxes and insurance. Here are some things to consider. 1. Choose a low or zero down payment loan. You don’t necessarily have to put 20% or even 10% down. You can pay 5%, 3%, or even zero down on some loans. 2. Some Lenders have programs to cover your closing costs. Ask your mortgage consultant about them. 3. As part of your offer, ask your real estate consultant about the seller’s paying some of your closing costs. 4. Shop around for your homeowners’ insurance. A little comparison shopping can save you money. 5. You may be able to deduct money paid for discount points from your gross income before computing your tax. See a CPA for more information. 1. Get a loan that doesn’t have monthly mortgage insurance premiums. You may be able to reduce or eliminate them by paying a little more at closing. By putting 20% or more down, you can eliminate them entirely. Talk to your mortgage consultant about other ways to eliminate monthly mortgage insurance payments. 2. Take advantage of rate lock programs that are currently available. You can generally lock in a low interest rate 30 to 45 days in advance. Secure an appraisal before you lock in a rate. 3. Remember that interest payments on a primary residential mortgage are fully deductible. Your property taxes are also deductible. Tax rates definitely favor homeowners. Be sure to declare both your mortgage interest and property taxes when you file your income tax returns. 4. Consider an adjustable rate mortgage. Adjustable rate mortgages (or ARMs) can be as much as 3% lower than fixed rates. The factory that produces one-third of all vinyl records on store shelves today is easy to miss. With its pastel tile facade and retro-industrial trappings, United Record Pressings hides in plain sight in Nashville’s transitioning Wedgewood-Houston neighborhood. But step inside the 52-year-old plant and the hum of machinery will remind you that this is where 30,000 to 40,000 records are pressed every day but Sunday. The presses run 24 hours for those six days a week, and even at that pace the company has been behind in keeping up with demand, with some orders taking as long as three months to fulfill. To fill the backlog, United Record is racing to complete a second plant that will double its capacity to 60,000 to 80,000 records daily. No one makes money in music anymore. In a time when the song of the summer (hello “All About That Bass”) can be yours on repeat for 99 cents and an entire album saved to your record cabinet in the cloud for just a few bucks more, the chorus is as familiar as the latest Beyonce tune in most of the United States. But in Nashville, a different trend has taken shape, one that has the city thriving and creative industries booming. “Nashville is as good as any place you can imagine being for this business,” says United Record CEO Mark Michaels, who plans to hire another 70 to 80 employees when the new plant opens. United Record Pressing produces one-third of all vinyl on store shelves today. In addition to United Record, there are startups like Artiphon, creator of a sleek wooden musical instrument powered by digital tools, and new apps for connecting songwriters who want to collaborate with one another on writing the next hit. Rock icon Jack White’s Third Man Records is both a record label and a retail store often mobbed by a stylish mix of locals and tourists. There are more copyright lawyers in Nashville than in cities many times its size.In a nod to the ever-increasing population of working musicians, the city last year opened its first subsidized housing designed for artists, Ryman Lofts. Named for the iconic Ryman Auditorium where the Grand Ole Opry was staged for 31 years, the 60-unit downtown development was the brainchild of the Music City Music Council, a three-year-old partnership between the Mayor Dean’s office, the Nashville Area Chamber of Commerce and the convention center. The lofts rented quickly and now have a long wait-list. And the demand isn’t restricted to Ryman Lofts. New shops and residential developments are bringing new life to neighborhoods across the city, from hip East Nashville, to Wedgewood-Houston on the fringe of downtown, home to United Record Pressing. These neighborhoods are the stomping grounds of countless musicians, ranging from the bearded hopefuls playing guitar for barroom tips, to performers with household names and the songwriters behind rock and country music’s top hits. Even the city’s growing tech scene is rooted in music. In September, the Nashville Entrepreneur Center announced its first music business accelerator, a 14-week initiative called Project Music, designed with the Country Music Association (CMA) to help wannabe music entrepreneurs make their startup sing. Six to eight startups will be in the first class; each will receive a $20,000 investment (in exchange for equity in the business). Artiphon founder and CEO Mike Butera with his Nashville-made digital instrument. This year, Rolling Stone magazine, perhaps the arbiter of all things music, finally opened a bureau in Nashville, signaling to the world that country is a genre that’s influential, profitable and on the rise — and that Nashville remains its thriving center. (Full disclosure: I occasionally write for Rolling Stone Country.) And since the show “Nashville” telecast the real Nashville into living rooms around the world, the city has been proclaimed an “it” city by the likes of the New York Times, Time, Travel + Leisure, and GQ, which came up with the quippy moniker “Nowville.” Crucially for Nashville’s future, the good news runs deeper than the hype.Between 2012 and 2013, Nashville’s population grew by 2 percent, an impressive rate of growth bested by only six other big cities in the country. In 2012, the city ranked first in the nation among large metro regions for fastest job growth, according to the U.S. Bureau of Labor Statistics. Nashville has added jobs faster than the nation in every year since 1990. Perhaps most tellingly, the city’s gross metropolitan product — the regional GDP — grew by 4.2 percent in 2013, double the national average; the city ranked third in economic growth after booming Austin and San Jose. While the tech industry is behind the growth in both of those cities, music is Nashville’s second-largest job generator, after health care. For every 1,000 people of working age in Nashville, there are 7.8 music industry jobs, a study by the local Chamber of Commerce found. Compare that to just 2.0 in New York, 2.8 in Los Angeles and 2.6 in Austin, Texas, which bills itself as the live music capital of the world. In 2013, the Bureau of Labor Statistics ranked Tennessee number one for its concentration of musician jobs. Downtown Nashville is a thriving hub of local music and commerce. Maintaining a thriving music industry is no small accomplishment. By 2015, global music operations could have a $9.7 billion impact on Nashville, a recent study released by the Chamber of Commerce found. Part of the secret of the city’s success lies in its history, but let’s face it: Detroit, New Orleans and Memphis have pretty impressive musical legacies, too, and those cities don’t have the industry of Music City. For urban policy wonks, it’s hard not to wonder what Nashville’s magic is and whether or not it’s replicable. Nashville has been called Music City for more than a century. Some say the nickname was coined by the United Kingdom’s Queen Victoria in 1873. As local myth would have it, the queen saw a performance by the Fisk Jubilee Singers, an African-American a capella act from Nashville’s historically black college, Fisk University, and was so impressed that she remarked the group must have come from the “music city” of the United States. The moniker stuck. United Record Pressing opened in Nashville in 1949. If you talk to experts about what has kept the music playing in Nashville, they will point to the logistical advantages first.Pull out a map and look at Nashville’s decidedly non-coastal location. Its flyover country placement may at first seem like a detriment to those who believe all the action is in New York or Los Angeles. But the truth is most Americans don’t live in New York or L.A. In fact, you can reach at least half of the country’s population within a one-day’s drive of Nashville, making it an ideal place to start a tour or ship records from. In 1995, when the U.S. Department of Transportation revised regulations to limit the number of hours a driver can be on the road, Nashville’s location became even more advantageous; having trained drivers based in Nashville makes it easier and cheaper to meet a tour and swap drivers than if the company were based on one of the coasts. “Nashville is the entertainer bus capital of the world,” says Chip Huffman, founder of the Celebrity Bus Drivers Academy, which opened its doors in 2009. Location is in part why Kevin Greenwood relocated his Southern California-born staging company, Stage Tops USA, to just south of Nashville in Manchester, home of alt-music festival Bonnaroo. From his new location in Tennessee, he can send out stages and lighting to music festivals, sporting events and music tours across the country more easily than he could when he was closer to the action in California. Rosepepper Cantina in East Nashville is one of the gentrifying neighborhood’s hot spots. Then there is the issue of affordability. The cost of living in Music City is 10.2 percent less than the national average, according to the Chamber of Commerce. That difference is huge for small or young companies. Stage Tops USA moved from Southern California because it was not only less expensive to move materials, but also because it was less costly to buy land. Greenwood was able to buy a $120,000 piece of land that he thinks would have cost between $2 million and $3 million in California. The founder of Artiphon, Mike Butera, did the same math when he was deciding whether to locate his startup in Silicon Valley or Nashville. “It is affordable to live here and that makes all the difference,” he says.But there are plenty of affordable locales in the middle of the country that are not music industry capitals. Another often overlooked advantage that Nashville has is its own local musical language: the Nashville Number system. Literally a citywide musical tongue, the notation allows musicians who only know how to read the most basic of chord progressions to jam with other musicians. As far back as the 1950s, Nashville session musicians were given these numbered charts instead of traditional sheet music. And it has kept talent. The sheer concentration of local skill gives Nashville a leg above cities like Detroit and even New Orleans that, because of weak local economies, have seen creative talent flee. Remember the songwriters mentioned earlier? Some call Nashville “the co-writing capital of the world.” Every waitress in town is rushing off to try to pen that next big hit. If that waitress is lucky, she and her partner will sell that song to one of the more than 200 local publishers. A local demo singer will work with them to record it in the style of a performer who might decide to record the song. When it is picked up, the recording and production can be done in one of the city’s dozens of high-level studios, and released on a local record label. Think of Nashville as vertical manufacturing for the music industry: All steps of the process can take place without leaving the central time zone. All of that happens through a mature civic infrastructure that has taken time and capital to build. After all, the Dean administration provides direct support for projects like the Ryman Lofts and other Music City Music Council initiatives, as well as more indirect backing. Big subsidies go to keep the industry recording and filming in town too. The TV series “Nashville” took in some $20 million in subsidies in its first two seasons in the city. The show is currently filming a third season in town. This fall, artist Candy Chang installed “As I Age,” an art piece adapted for Nashville from her “Before I Die” series, at the Music City Walk of Fame Park. “When you get to other cities, they may have the music culture, but they do not have the infrastructure,” says Wesley A. Bulla, a professor and dean at the Curb College of Entertainment and Music Business at Belmont University. On the second floor of the United Record Pressing plant, above the now-ancient working presses, are rooms that once slept Motown artists and executives who couldn’t otherwise find a place to stay in the then-segregated South. Down the hall is the room where an all-analog music series is recorded, the hum of the presses lending a background harmony. These are the historic presences that pulled architect Manuel Zeitlin and his Zeitgeist Gallery and studio to the Wedgewood-Houston neighborhood in 2013. A Nashville native, he says the city as a whole is becoming a far more international, cosmopolitan and creative place. Mayor Karl Dean has prioritized making Nashville more bike-friendly, launching a bike-share system, installing bike lanes and re-engineering streets to be more multi-modal. In September, Warby Parker announced it would open its first corporate office outside of New York in Nashville.It was a big symbolic win for the city. With its fast growth and likable yet hip and highly profitable eyeglass brand, Warby Parker represents everything promising about startup culture. The company spent months deciding where to open the office, considering standard metrics and less conventional ones like how its New York-based employees felt about the local culture and how large a percentage of their income residents spent on creative interest. In the end, Nashville beat out Salt Lake City, Denver and Louisville for the corporation location. A big part of why was the city’s musical heritage, says Ed Hardy, Co-Chair of the Music City Music Council. Council representatives met with Warby Parker executives while in New York on a recruiting trip, he says. At last count, Nashville’s population was growing at a 2 percent rate, making it one of the fastest-growing big cities in the nation. Homes like these are in increased demand in neighborhoods across the city. Cities, even those in love with their own history, never stop changing. Nashville has never been content to sit on its fiddle-playing hands and let its Music City cred carry it.Artiphon is a handcrafted wooden instrument the size of a ukulele but instead of holes for sound to travel through, it has an iPhone dock. In place of strings, there are touch pads. It’s not hard to see why the Nashville-made digital instrument has struck a chord (pun intended) in the city. For Nashvillians, it is the physical manifestation of hopes that the next big frontier for the city’s creative economy will be the tech sector. There are challenges to growth, to be sure. To sustain expansion, Nashville will need to think like the bigger city it is becoming. Public education and public transportation are critical issues. The debate over AMP, a proposed dedicated bus rapid transit line that would be the first of many, has raged for more than a year with little progress other than countless pro and con yard signs dotting neighborhoods. In August, the city will elect a new mayor and the candidates have already begun fielding difficult questions related to the growth pains, on issues ranging from immigration to walkability. 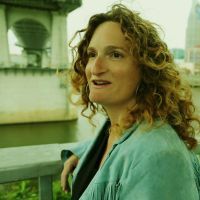 Margaret Littman is a Nashville-based journalist who covers small businesses, economic development, travel, music and all manner of other topics for publications ranging from Entrepreneur to Rolling Stone Country. She is the author of many travel guidebooks, including Moon Tennessee and Moon Nashville. Since back moving to Music City she has acquired a 1967 Ford pickup and a lot of pairs of boots, but still not the ability to carry a tune.